In a time when it seems that nothing is built to last, it’s lovely to find a piece of furniture that will go the distance and stay with kids from birth until adulthood. Actually it’s more than lovely. 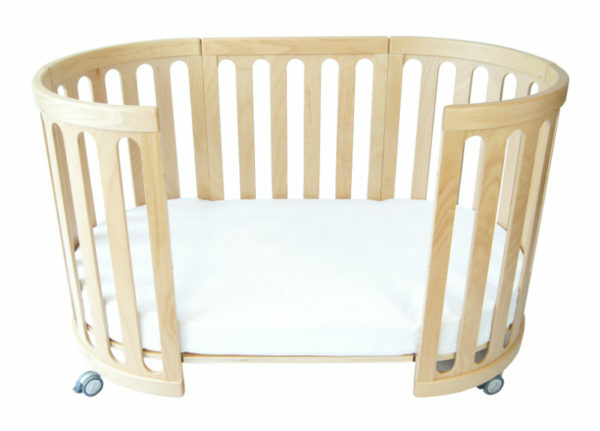 It’s nearly unheard of – until the Kaylula Sova 5-in-1 cot came along. 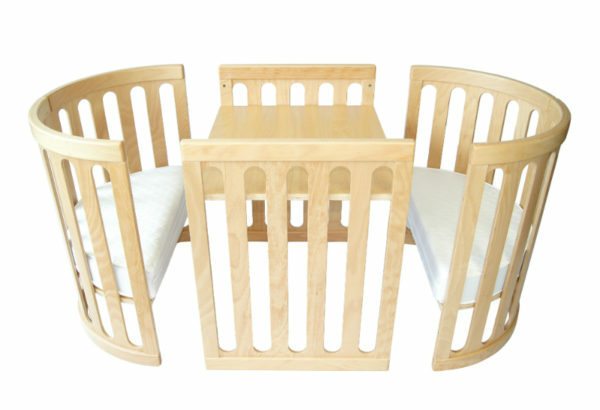 The Kaylula Sova 5-in-1 cot is a masterpiece of clever design in the world of evolving furniture. Instead of endlessly replacing nursery furniture that your little one has outgrown, this cot will grow with her from the day she comes home from the hospital until the day she’s hosting tea parties with her collection of stuffed rabbits. 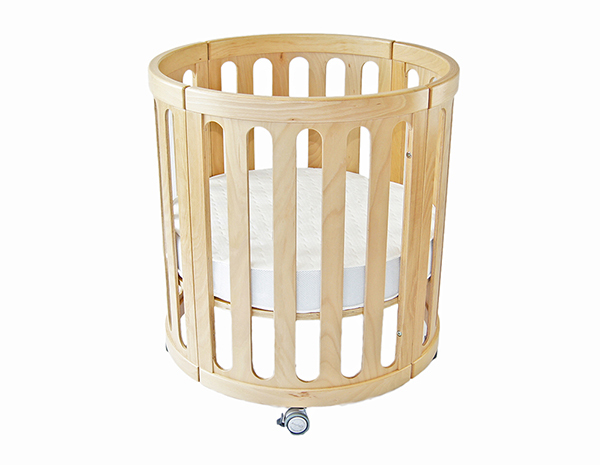 The Kaylula Sova starts out as a bassinet, a perfect circle to surround your precious baby. Its compact footprint means you can keep it in small spaces (like beside your own bed) while your baby is still brand new. Convenient wheels make it easy to move around the house with you. 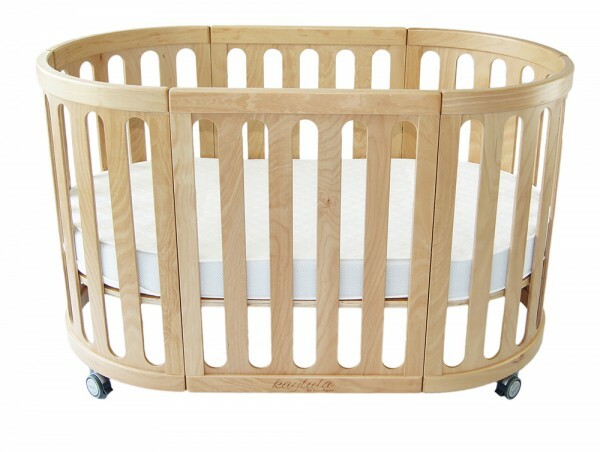 As she out-grows her perfectly round crib, two side panels can be added to lengthen the cot to accommodate your baby. The sleeping space stays familiar for her as she grows, so you don’t need to worry that the transition will destroy any hard-won successes in the sleeping department! You’ll know your toddler is ready to come out of their cot when they start climbing the sides and appearing by your bed at unexpected moments. The transition is easy with the Kaylula Sova because the side panels of the cot are quickly and easily removed, and voila! You now have a cosy toddler bed. Remove the mattress and bed base, and the Kaylula Sova evolves into a playpen; the perfect space to keep busy babies safe from the rough and tumble of family life. 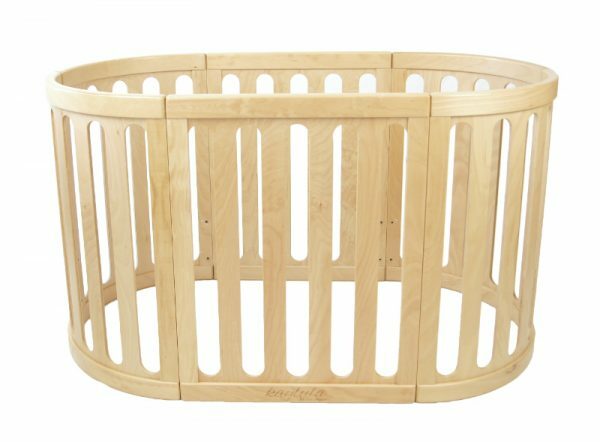 Its sleek good looks mean that this is one playpen you’ll be happy to have on display. The Kaylula Sova’s final form is a stunning set of table and chairs, perfect for kids, but also suitable for adults. The Kaylula Sova isn’t just a fabulous design – it’s a solid piece of furniture too, meaning it will stand up to years of use by kids who aren’t exactly gentle with their things. For your peace of mind the Kaylula Sova collection is tested by Furntech (AFRDI) to ensure the highest level of safety for your little one. When choosing a building material, strength and sustainability were at the top of the designers’ list. The Kaylula Sova comes in natural wood or white finish and is made from sustainable European beech wood and plantation timber. The cot mattress is made from “breathe eze” fibre, and you’ll never have trouble finding linen as the Kaylula range has matching organic linen in neutral patterns and tones. The pad consists of a heat-bonded fibre which makes it anti-allergenic, dust mite resistant, and amazingly it’s fully machine washable. The mattress cover is breathable and soft. Babies can face lots of changes in their short lives, but the Kaylula Sova 5-in-1 cot means not everything has to change: they can stay in their same safe, familiar bed until they’re grown, and ready for the next big change.